Pre-sale sold out. Tickets available at the door. Sunday GA $100 & Sunday VIP $200. Event runs 2pm-11pm. 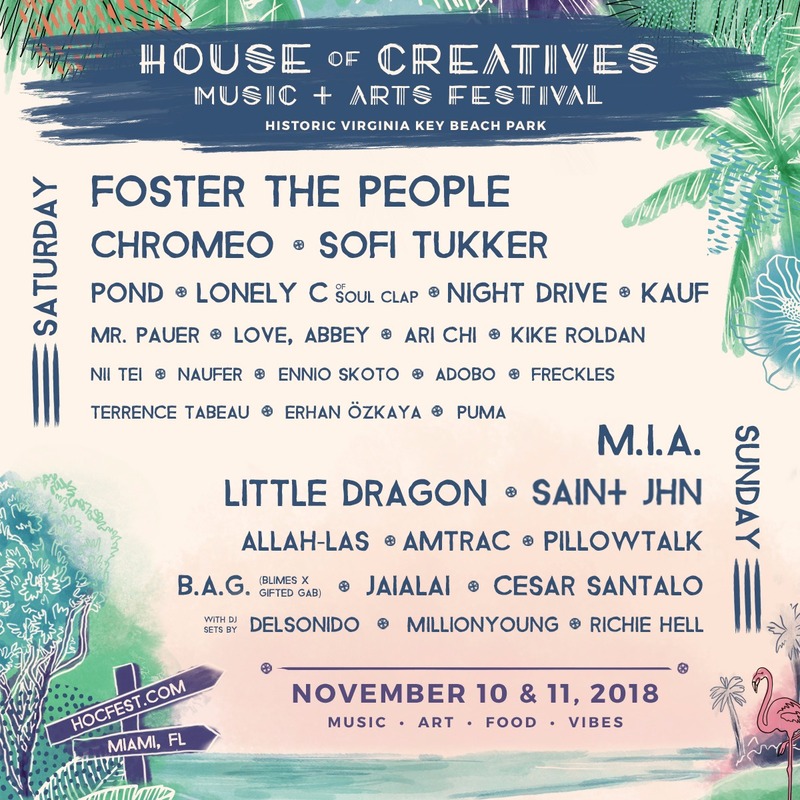 HOC Fest 2018 will take place amongst the tropical landscape of Historic Virginia Key Beach Park, a pocket of paradise that fits tailor-made for the festival’s artful charm and sprawling layout. Featuring performances from regional mainstays alongside national/international top-tier acts, the festival provides music and art aficionados a multi-cultural escape boasting gourmet food options, artisan vendors, and engaging art installations for an unforgettable immersive experience. In its 3rd year, the festival stands proudly among the local leaders pushing Miami’s cultural movement forward. 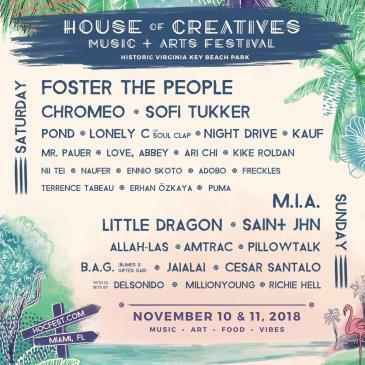 HOC Fest has attracted thousands of Miami locals and traveling adventure-seekers alike over the past 2 years to see standout artists such as alt-J, The Flaming Lips, MGMT, Crystal Castles, Cold War Kids, Metronomy, and Washed Out. 2018 attendees can expect an elevated experience from previous years with further emphasis put towards creating a one-of-a-kind South Florida haven for music, art, and positivity.